Home > Blog > What is the Bretton Woods Agreement? The fields of finance and economics have been shaped over the course of history by a few momentous decisions by world powers and financial institutions. Understanding the reasons behind these events, the nature of their implementation, and their continuing effects on global banking systems is part of becoming a knowledgeable and informed financial professional. The Bretton Woods Agreement is one of these watershed moments in the development of modern financial systems, setting up the dollar as the default currency for worldwide exchanges in the aftermath of World War II. While the Bretton Woods system was phased out during the Nixon administration, the financial institutions created by the agreement—the International Monetary Fund and the World Bank—remain enduring parts of 21st century finance. The following is a brief summary of the reasons why the world’s economies became part of the Bretton Woods system, how the system worked, why it failed, and the effects the agreement has had on the evolution of the international monetary system. Modern economic professionals can gain perspective and insight from uncovering the past of their profession. World War II devastated many nations, with lives lost and infrastructure destroyed at staggering rates. As the war continued, financial policies had to change to address the effects of the war on world economies. The Allied nations sent representatives to Bretton Woods, New Hampshire, in June 1944 to work on a new system to standardize exchange rates between world currencies and the U.S. dollar. The Bretton Woods system was implemented as a more stable replacement for the gold standard, under which all currencies were convertible into gold. Under the new agreement, the dollar was the standard for international transactions, with its value set at 1/35 an ounce of gold. The fact that the U.S. held a majority of the world’s gold reserves allowed the dollar to assume its new role as the standard currency on which exchanges were based. The delegates in New Hampshire established the International Monetary Fund to provide loans to companies in debt and oversee exchange rates around the world. The conference also created the World Bank, a lending institution which was initially tasked with loaning funds for the rebuilding of destroyed infrastructure in Europe as well as the expansion of capabilities in developing countries. While the Bretton Woods system was agreed upon in 1944 and the IMF was founded in 1945, the system truly became operational in 1958. At that point, the conversion of currency became tied to the U.S. dollar, with the exchange rate around the world based on the figure of $35 per ounce of gold. As Investopedia noted, the system was more permissive than a gold standard, but was predictable and not volatile. In the period leading up to 1971, the IMF ensured the system was observed globally and possessed a pool of currency contributed by each member country around the world. The IMF could then lend out money as nations required it. The fund was not a fully functional central bank, however, as it could not print money. Financial crises during the term of U.S. President Richard Nixon led to the end of the Bretton Woods system. During these years, the amount of dollars held overseas exceeded the value of the gold reserves held by the U.S., in Fort Knox and elsewhere. This undermined the premise of the agreement, namely that the U.S. could still back its dollars with their equivalent value in gold. The Balance noted that the financial phenomenon of “stagflation,” inflation during a recession, struck the U.S. around this time. The U.S. dollar’s use as the global currency became a cause for concern. Nixon reduced the value of the dollar, cutting it to 1/38 of an ounce of gold, and then 1/42. With the value falling, people sought to convert their dollars for gold in anticipation of more changes. Once Nixon declared the temporary end of convertibility followed by the complete breakdown of the connection between dollars and gold, the free market became the determinant of gold prices, which promptly rose. The currency conversion elements of the Bretton Woods system were now over, though the IMF and World Bank still existed. While countries can no longer tie all their currency conversion needs to the U.S. dollar, nor link that dollar to a fixed amount of gold, the legacy of Bretton Woods continues in the form of the IMF and World Bank. The IMF still exists as a holder of reserve currencies, and the World Bank remains as a lender of funds to developing and growing economies, following the end of its role funding the postwar reconstruction of Europe. 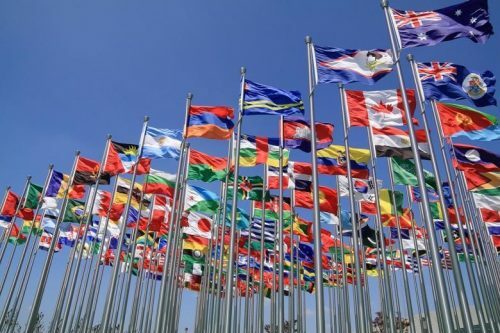 When studying to further an international finance career path, professionals learn about the impact of international agreements such as Bretton Woods, along with the institutions they’ve created. Creating a sound international financial strategy means anticipating the effects of announcements and moves by central banks operated by national governments and international bodies alike. Courses such as Analysis of Financial Institutions and Markets, part of the Online Master of Science in Finance curriculum at Northeastern University’s D’Amore-McKim School of Business, deliver this type of knowledge and expertise. In this class, expert faculty members describe the inner workings of the financial system around the world, giving students the tools they need to model and analyze data and make valuable projections in the complex world of international economics. Learning how and why international exchange rates are set today, as well as the reasons behind interest rates and security prices, can help financial professionals become more well-rounded in their experience and valuable to their organization. Due to the numerous complex factors underlying international transactions, a strong grounding in the rules is an essential starting point. Receiving such an education helps an employee stand out with hiring managers. To learn more about the courses offered as a part of the Online MSF at Northeastern University, visit the program page here.